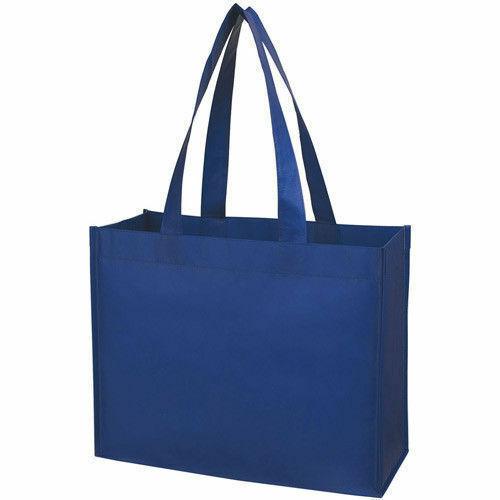 Customers can avail from us a splendid assortment of Non -Woven Food Bag at the most affordable prices. these bags are provided with exclusive loop handles, which further makes it attractive as well as convenient to carry. Known for their multipurpose usage, durability and high strength, these bags are provided in various shapes, color and sizes. Karam Green Bags is CRISIL certified organization having infrastructure and capacity to meet any kind of big or small production requirement. We are equipped with fully automatic non woven bag making machines with in-house Flexographic printing facility to fulfill different needs of our customers. We are just installed with another brand new flexo printing machine for better printing quality. We have dealer network spread throughout the country and export clients in Gulf countries, African countries, USA, Spain, Italy etc. We have client base ranging from shops and supermarkets to big corporate businesses i.e. garment manufacturers, tea manufacturers, hotel and restaurants, tobacco products manufacturers, cake and bakery franchises, hospitals, agricultural products manufacturers and many more.